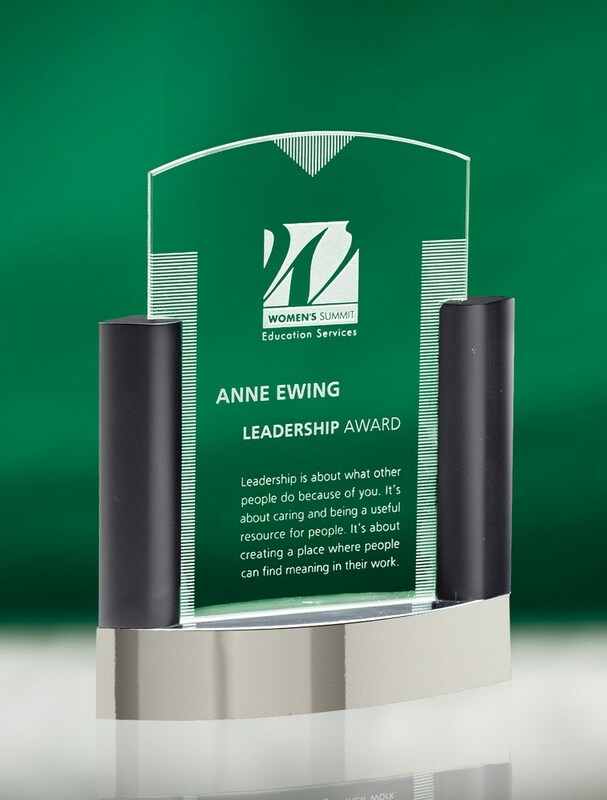 Customize achievement awards for your employees with our Custom Neopolitan Large Jade Crystal Award customizable with a single logo imprint. Traditional yet contemporary, and indeed stylish, the Neopolitan has a silver-plated base that reflects light throughout the jade crystal plaque, while contrasting well with its black metal columns. The design is further touched off by etched patterns that carry out the neoclassic theme. This timeless styling ensures that the award stays treasured for years to come. 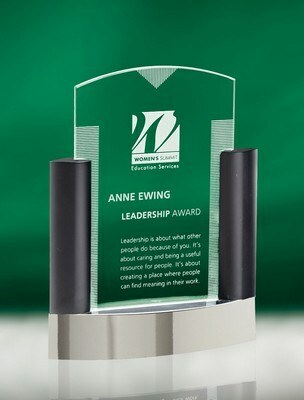 For best results, we recommend etching your logo and personalized trade mark, for a giveaway at award ceremonies and other promotional events such as conferences and seminars.